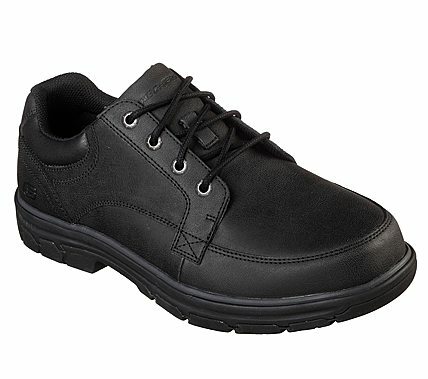 Complete your look for nearly any situation with amazing comfort in the SKECHERS Relaxed Fit®: Segment - Wolden shoe. Smooth oiled leather upper in a lace up comfort casual moc toe oxford with stitching and overlay accents. Air Cooled Memory Foam insole.